Watford Football Club World Cup Offer! The stadium is home to 8 purpose built suites, and 19 executive boxes, that can be dressed to your exact specifications, with some boasting stunning pitch views. 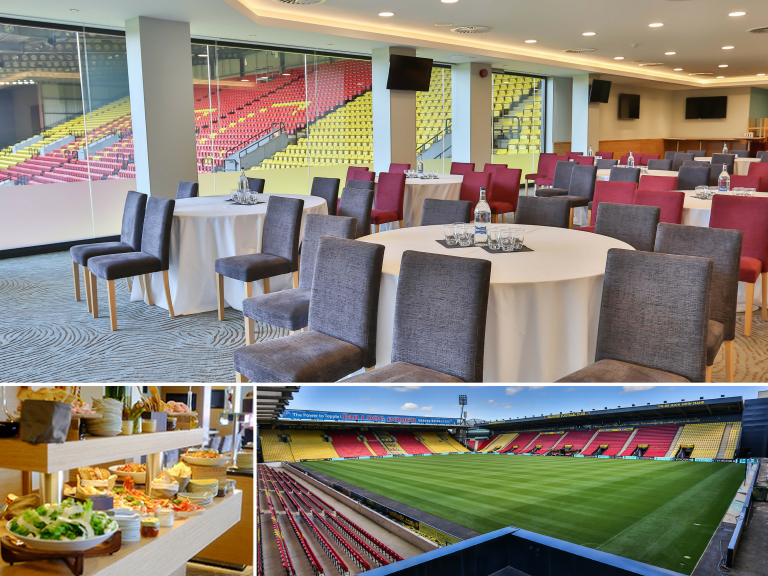 With a capacity of up to 300 delegates and function rooms perfect for conferences, meetings, training days, parties, weddings and much more, Watford Football Club is a venue not to be missed! World Cup Delegate Day Rate Offer! Special offer available for events held between 1st June 2017 and 31st August 2018. The offer is not available in conjunction with any other offers and is subject to minimum numbers and availability at the time of booking.